Stuart Rodda started his Real Estate training in 2002 with Darwin Real Estate. And began Territory Real Estate in 2010. 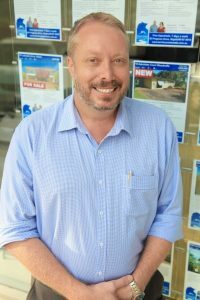 Stuart Rodda started his Real Estate training in 2002, and employed with Darwin Real Estate in March 2003. He was trained for all real estate markets and conditions and he also studied his craft attending many interstate seminars every year studying negotiation techniques, marketing and client care and Australia’s first Ethics Seminar for Real Estate Agents.